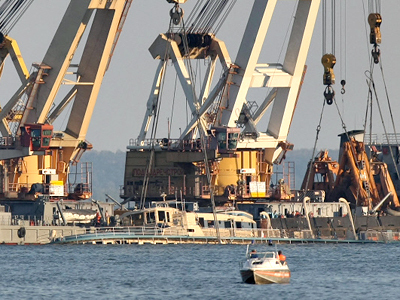 The riverboat Bulgaria will be scrapped for both ethical and practical reasons after investigation into the incident, which killed 122 people, is over. 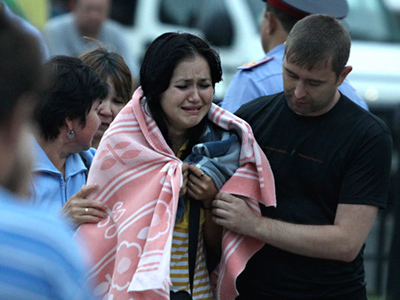 The vessel’s sinking was Russia’s worst river incident in decades. 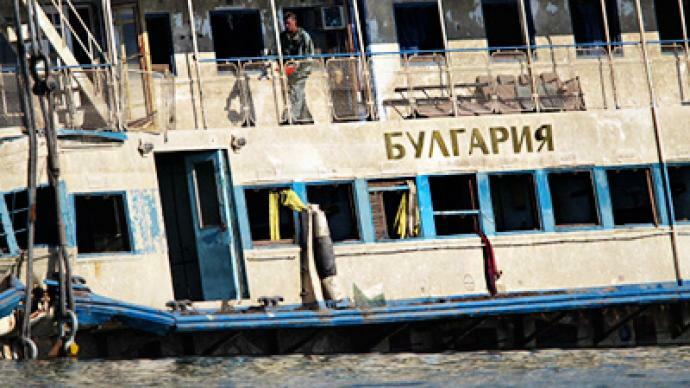 The Bulgaria was raised from the bed of Volga River last Sunday and is now being kept in shallow water. It is now floating on its own as its hull has been sealed airtight, while the remaining water is being pumped out. Once that has been done, it will be transported some 500 meters to a dry dock for further examination. So far investigators confirmed that the layout of the ship has been greatly altered since its commission in 1955. Similar reports came earlier from rescue divers, who said the maps of Bulgaria did not read true, which made their job of searching the vessel more difficult. They said operational areas of the ship had been made smaller to fit in additional passenger cabins. Rescuers have found all bodies of the victims of the wreck and are to wrap up the search operation soon. The three latest finds are yet to be officially identified. One of them will require a DNA test for a positive ID, a Health Ministry spokesperson said. “Rescuers from virtually all of our country except for the Far East worked here. In particular 190 divers of the Emergencies Ministry worked at the Bulgaria wreck site,” head of the local department of the Emergencies Ministry’s Igor Panshin said. The ship itself will be scrapped once the investigation into the disaster is over, head of the repair depot which handles the vessel’s dock works said. “This vessel must never sail again. At the age of 55 it should have been decommissioned long ago. And after this horrible tragedy, no passenger must be allowed to walk her deck again for ethical reasons,” he said. Meanwhile, the Investigative Committee says it has evidence incriminating captains of the two freighters which failed to take part in the rescue of people from Bulgaria on June 10, the day she sank. “Even though both suspects deny any wrongdoing, the body of evidence collected by the investigation, including passenger and crewmember reports and log of the vessels Dunaysky 66 and Arbat, confirm their guilt,” spokesman for the committee Vladimir Markin said. The captains of both ships are suspected of abandoning a ship in distress. Two other people have already been charged with criminal negligence in connection with the incident. The Bulgaria sank during a pleasure cruise on the Volga River. Out of 201 people onboard, 122 died, as the ship went down in a matter of minutes. There were 28 children, 72 women and 22 men among the victims.